I am jumping on the link up bandwagon and bringing you a new meme. As I amass a list of lovely links I find I will post them here for you to check out. Clearly, I think they are great. I would love to hear what you think! The holidays are coming. They are coming. No really…they are coming. Thanksgiving pretty much feels like it might be here tomorrow. I have learned, or rather tried to learn, in my short years of having kids about how to buy ahead. I am furious with myself when things are last minute and I have to actually brave the shops with the masses. While I plan to post my own gift suggestions for everyone you shop for this year, I would be a bad blogger friend if I didn't share these guides with you. These lovely bloggers have made toy buying so much easier. 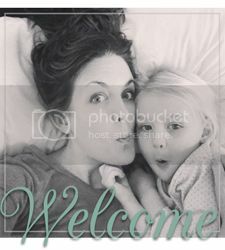 If you haven't checked them out, Modern Parents, Messy Kids (MPMK) is a phenomenal blog. Their 2013 Ultimate Toy Gift Guide is detailed, educational, and helpful in ways you would never even realize a toy guide could be. This is really great too if you don't have kids and you have no clue what to get your nieces, nephews, cousins, etc. I have mentioned before on the Isn't She Lovely Facebook page that everyone should be following Baby Cheapskate. She seriously knows her deals about when to buy, what to buy, and at what age to buy it. If you want to know when exactly to get a certain toy at the cheapest price she's done the work for you. Her guides are broken down into age groups. Like MPMK, she has actually been polling parents for quite some time about their "most played with toys" in their homes, and she creates her guides based on their answers. Brilliant! While I haven't actually gotten to try this out I literally can't wait! My blogger friend Nicole from Probably Polka Dots started her Monday, My Day series and something called the colAR app was listed in her post this week. It's an app where you print out a coloring sheet, your kid colors it, you take a photo of it, and the app makes the page come alive. I got so excited and then realized our iPad is considered ancient and has no camera. If you have kids who love to color like mine this app seems like such a treat! When Seth gets back in town with his iPad we will definitely be giving it a try. Lastly, I recently discovered the site called Etsy Kids! Am I totally late to the game on this one? If you haven't checked it out I strongly suggest you head over. All this time I've been searching through Etsy for specific kid items. Etsy Kids is run by a group of Etsy shop owners who make items for children. This website is so convenient and helpful if you are an Etsy shopper. Hello Lovely! I love Baby Cheapskate! One question I have been googling lately but haven't found the answer to is this: "Is there a best time to buy baby gear?" We are having our first baby in December and thanks to a great group of girls who've walked the path before me I have a pretty good idea of the big ticket items I will need over the next year. With Black Friday and Holiday deals galore approaching I am wondering if now is the time to buy that 6 month and up jogging stroller, the next level car seat, or highchair? Or will I find better deals if I wait it out, like in the Spring or Summer? Any thoughts!? Hello Molly! Thanks for stopping by. Everything I've read from babycenter.com to consumer reports says that the best time of year to buy baby gear is NOW! November especially for baby products according to consumer reports. You are in luck! I will say with strollers and car seats there are random deals all year. If you are specific and know exactly what you want you can watch for those deals. If you're open to whatever is at a really good price this time of year then I say buy now. I follow Baby Cheapskate on Facebook and I actually ended up buying my favorite car seat recently (as in a month ago) because she just did a quick alert via FB that it was on sale on Amazon at the lowest price it has ever been. Sometimes you get lucky like that! She will post things like that all the time with everything from toys to gear because she knows the pricing history and can say for a fact that it's at the lowest price ever offered. But, if you want to buy for the future at the best time of year for those items now's the time. Good luck! I used the Modern Parents Messy Kids link to pick out some toys for Ashley's birthday and Christmas. Thank you for sharing!